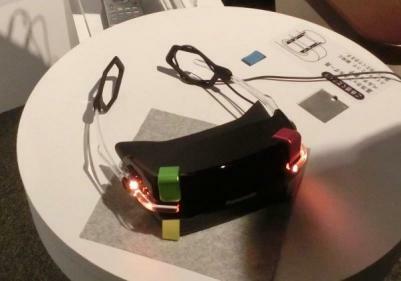 Panasonic has unveiled a new VR headset prototype during a private demonstration in Japan. The device, which is similar to Oculus' VR headset uses a large AMOLED display that realizes large field of view (viewing angle of 90-degrees) and a fast refresh rate of up to 75 fps. Panasonic says that the prototype, unlike Oculus Rift's product, can be hooked on the ears like regular glasses (Oculus' headset uses a strap). The company did not disclose any information regarding the commercialization of the new headset.